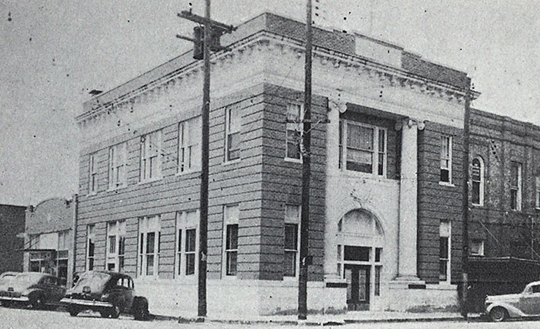 After its first year of business, The First National Bank of Cameron conducted business in a two story brick building at the corner of First and Houston Streets where the present building now stands (Humble, p. 8). T.F. 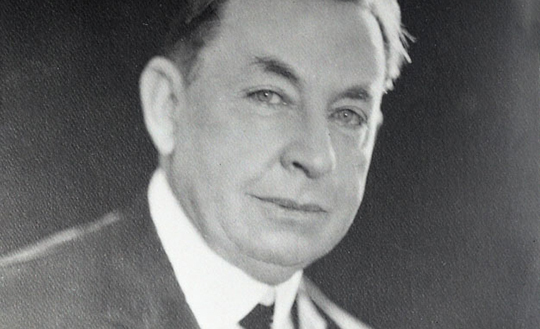 Hardy served as President from 1904 to 1905. J.N. Bradshaw served from 1905-1909. A.J. 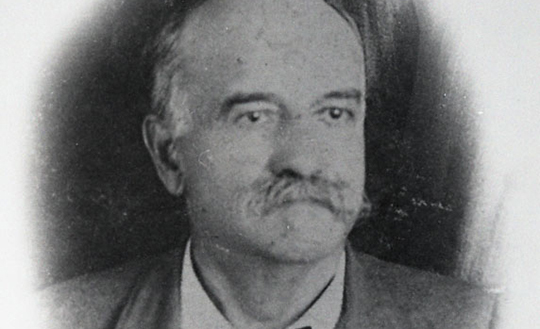 Dossett served until April 6, 1912. Mr. A.N. 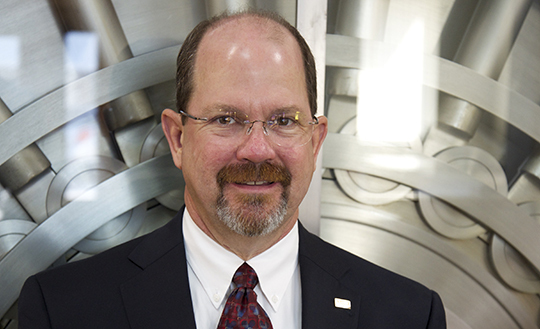 Green was added to the board of directors and elected president. 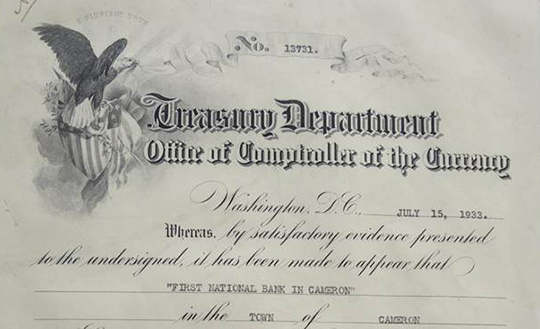 The new $75,000 home of the First National Bank of Cameron was modern in every particular as well as fire proof. The inside of the bank held a vault purchased for $4000 from the Mosler Safe Company in Hamilton, Ohio. The door weighed 22,000 pounds and was 11 1/2 inches thick. 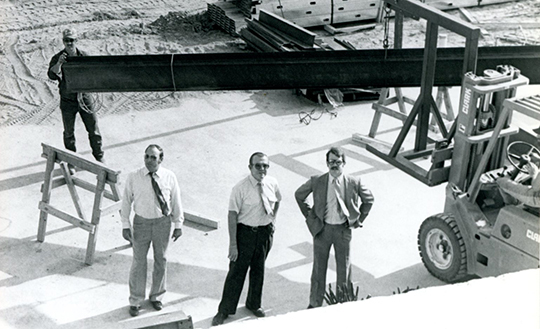 Its steel and cement walls were 22 inches thick and lined with half-inch sheets of manganese steel. Lester and Beatrice Williams pictured with the bank vault (purchased from Mosler Safe Company of Hamilton, Ohio) that was installed in 1921. In the late 1920's with the winds of Depression in the air, many small town banks began to fold or be absorbed by banks in larger communities. 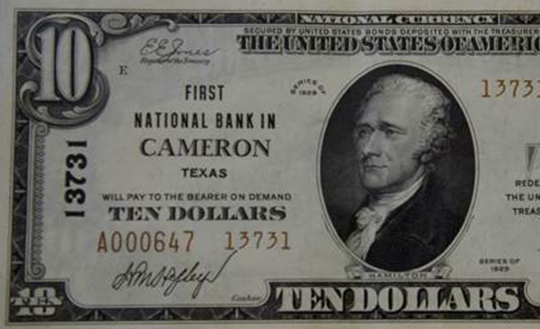 Ben Arnold State Bank on January 3, 1928 had total resources of $154,387.51 and was merged with First National Bank of Cameron. 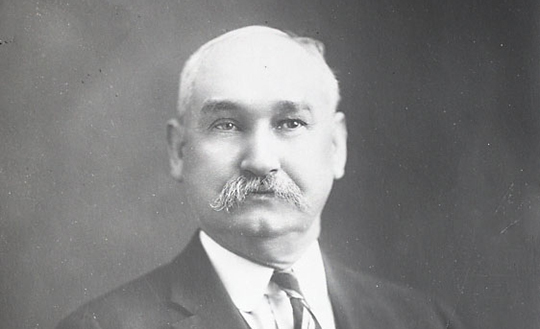 Ben Arnold State Bank; President: A.N. Green, Cashier: H.L. Gunn, Capital $10,000.00, Surplus $6,500.00, Total Resources: $154,387.51. 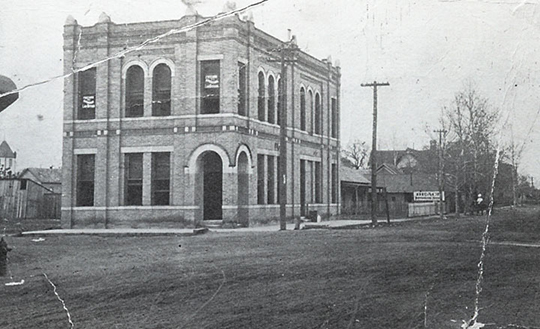 In 1918 there were 907 State Banks in Texas with total resources of $288,990,273.00. S.W. Cheeves replaced Mr. Green and served until his death in 1931. 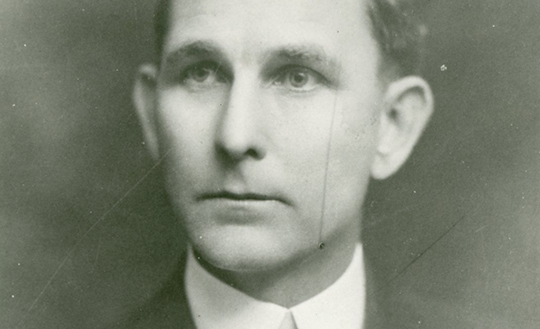 R. H. McIntosh then acquired bank stock and served until 1933. 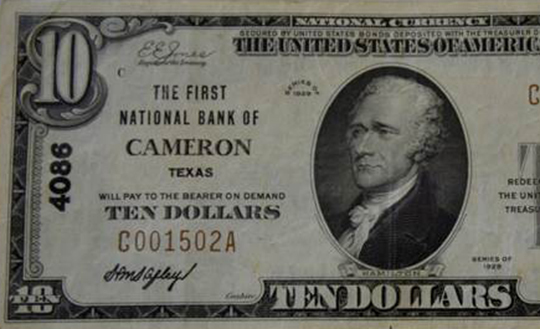 Henry M. Hefley became president in 1933 and served until his death in 1945..
After new Banking Acts were passed by the national government, The First National Bank of Cameron liquidated its stocks, and applied for a new bank charter. A returned WWII veteran, Mr. Williams served as President until 1975. In 1955, ceilings were lowered and 1921 Bonnie and Clyde type teller cages were removed. 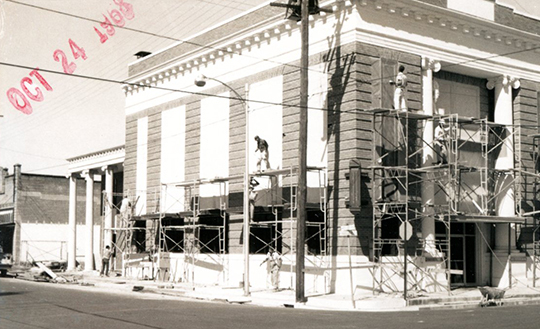 In 1969, the outside of the two story building was reworked closing off all second story windows. 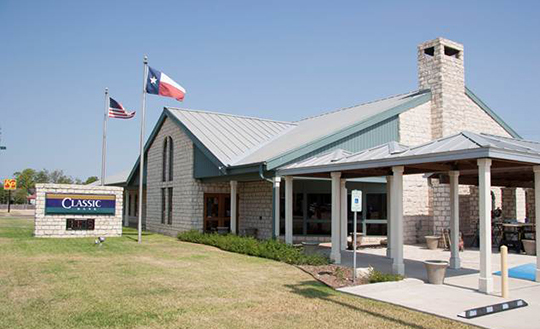 A new two story addition was completed on the west side and a two lane drive-thru bank was added. 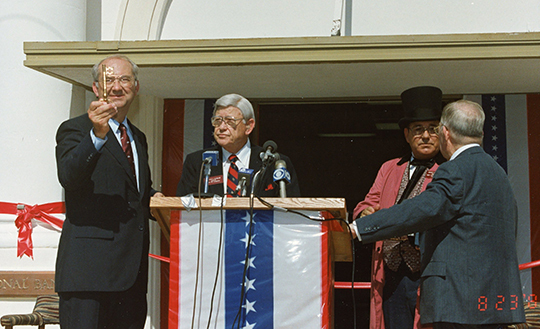 2900 square feet of office space was added, a community conference room and the lobby was also remodeled with walnut paneling, windows and customer safe deposit booths. Richard E. Williams served as President until his death in 1986. Ernest Moore served as president until 1998. Added North wing of current building. 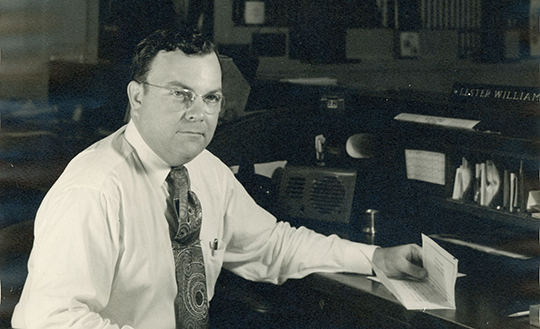 First National Bank added its first ATM machine. We aquired two Rosebud Banks, The Planters National Bank of Rosebud, Texas on February 25, 1993 and First Consolidated Bank, N.A. Merchants on July 8, 1992. 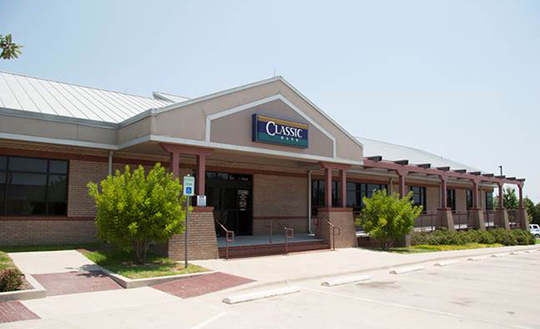 We acquired Lee County National Bank in Giddings in June 30, 1995. Richard E. Williams is still serving as CEO, in 2018 John Minor was named President of the bank. 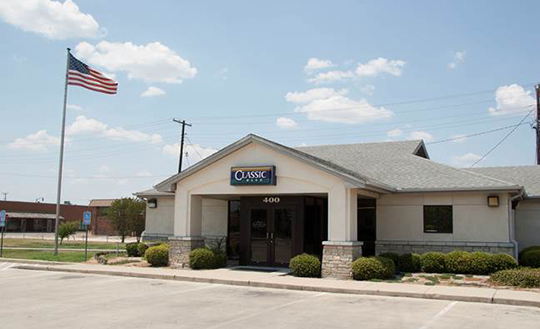 We opened a banking facility in Rockdale, TX on March 10, 2003. 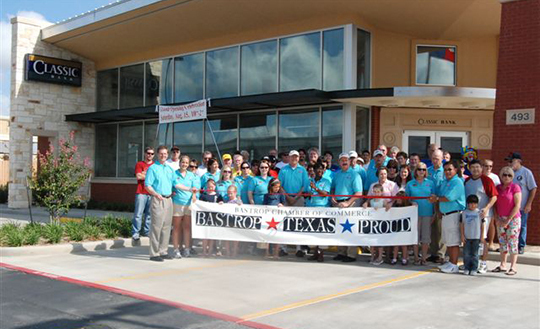 A Loan Processing Office was opening in Bastrop, TX on December 1, 2008 and a main branch on June 9, 2009. 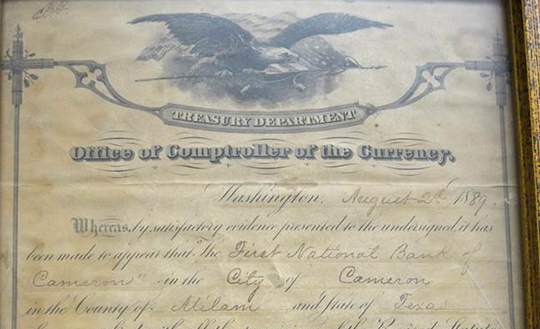 The bank changed its name because the bank expanded their holdings to several cities that already had First National banks in their cities or counties. Same ownership, same staff, same product offerings, same hours and locations. 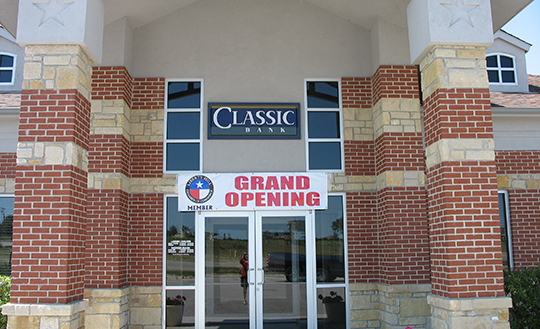 Classic Bank aquired Texas Savings Bank in Liberty Hill, Texas and opened for business on March 12, 2012.